The four-day Bula Fiji Interhash has raised $40,000 that will go towards upgrading the Nadi Hospital. In closing the event at Prince Charles Park on Sunday, President Major General (Ret’d) Jioji Konrote thanked the organisers for the gesture. About 1700 international hash harriers participated. Hash harriers are an international group of non-competitive running social clubs. “I have been notified that the event has been successful. On behalf of all Fijians, we thank you,” he said. 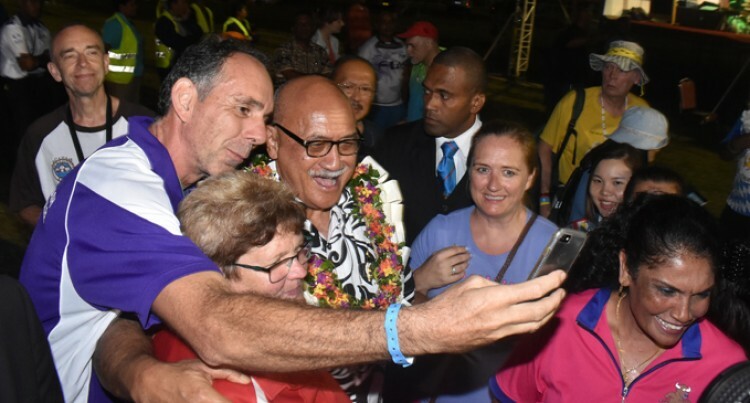 “As we bring this event to an end, I thank all the hashers for participating and experience the best Fiji has to offer, our food, local scenery and our Fijian hospitality. The President, being a former hasher himself, thanked volunteers, sponsors and the organisers for supporting this event. The oldest hasher Don Grandville, 93, from Perth, Australia, was welcomed personally by the President.